Small - $20.99 Only 3 left! It’s okay. You don’t need to hide those massive pythons with a long-sleeved shirt. Rowdy Roddy Piper would never deny the world of his beautiful biceps, because he’s wrestler that’s all about giving the fans what they crave. And that, WWE fans, is bulging biceps, that punch, throw and body slam the competition inside the ring with EXTREME prejudice. You too, should take a note from the legendary Mr. Piper. 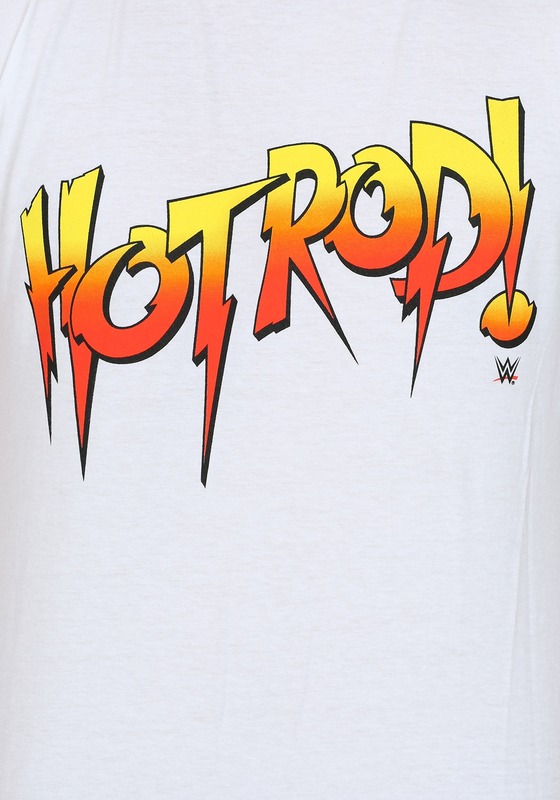 You too, should unleash your guns unto the world with a t-shirt that has been blessed by the wrestling champ himself! This WWE Legends Hot Rod t-shirt brings you the style inspired by Roddy Piper’s signature shirt that he wore into the ring. 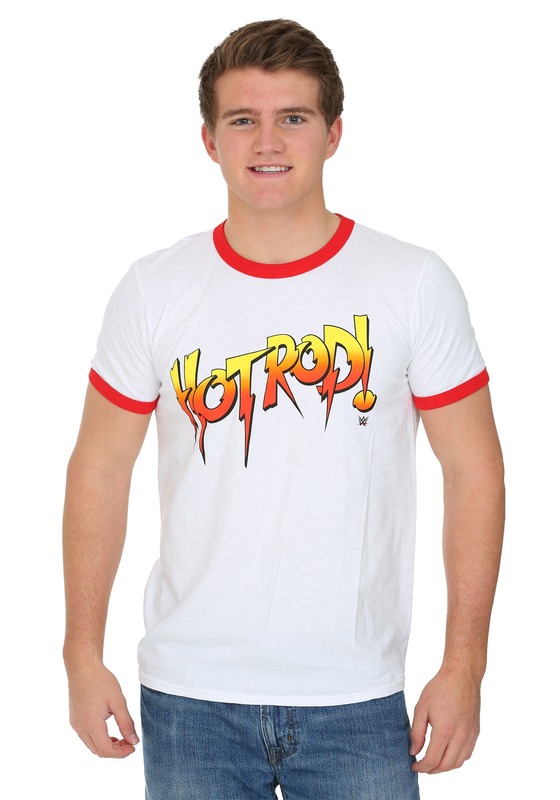 It’s 100% cotton, so it’s quite comfortable to wear for everyday use, but since it has “Hot Rod!” printed on the front, it makes for an excellent piece of apparel to wear while sparring with your enemies inside the ring.